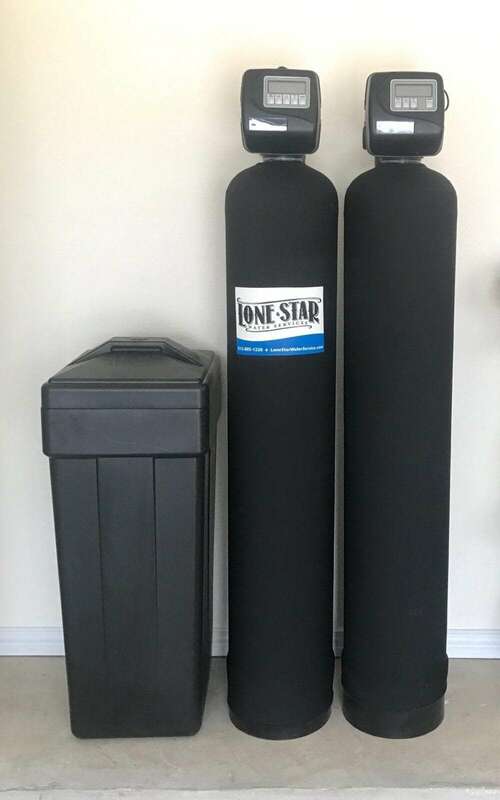 Lone Star Water Services offers superior products and quality service. Our whole house systems will remove the water hardness and chlorine from the water in your entire house, providing you with soft great tasting water. Pricing below is all inclusive for pre-plumbed “looped” or replacement installations. Warranties: 1yr installation, 5yrs working parts & electronics and 10yrs media tank(s) & salt tank. Free annual check ups for the first 5 years and a free bag of salt pellets.